While the Danube Valley civilization isn’t as famous as other ancient cultures around the globe, is it one of the oldest civilization to exist in Europe, developing from around 5,500 and 3,500 BC in an area known today as the Balkans, a vast area of land that stretches from Northern Greece to Slovakia (South to North), and Croatia to Romania (West to East). The Danube civilization was one of the most influential and important cultures in south-eastern Europe, being among the first civilizations to develop copper tools, advanced architecture, including two-story houses, design and production of furniture, and most importantly a writing system. All of this occurred while most parts of Europe were in the Stone Age, and advanced development was nowhere to be seen. This ancient civilization from the Balkans developed unprecedented skills like weaving, leather processing, clothes manufacturing and they invented the wheel. However, the most prominent feature of the Danube Valley Civilization is without a doubt, the controversial written language they developed. Even though many archaeologists believe the Danube Valley script isn’t a written language but a collection of geometric shapes, others believe that this is one of the first writings systems to ever appear on Earth. 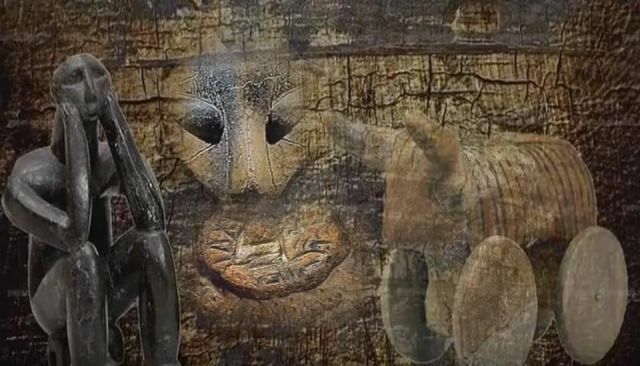 In fact, if this theory is proven to be accurate, it would mean that it is the OLDEST written language ever found on Earth, predating the well-known Sumerian Writings in Mesopotamia and the Dispilo Tablet which according to researchers dates back to 5360 BC. According to Harald Haarmann, a German linguistic and cultural scientist, says the Danube script predates the Sumerian writings and should be considered as the oldest writing in the world. The inscriptions in tablets found from the Danube Valley Civilization date back to at least 5,500 BC, and the mysterious symbols that make up the written language are yet to be deciphered. The symbols seen on numerous tablets from the Danube civilization are also called the Vinca symbols and are found across multiple archaeological sites across the Danube Valley areas. The symbols have been found to be recorded on pottery, figurines, spindles and other clay artifacts. The fact that the writing system developed by the Danube Valley Civilization is the oldest in the world is definitely a history changer. Not only is there evidence to support this theory present on clay tablets, but researchers have found thousands of artifacts with the Danube Valley Script on countless figurines. To date, researchers have found approximately 700 different characters in the Danube Valley Script, a number similar to the characters used in Ancient Egyptian Hieroglyphs. 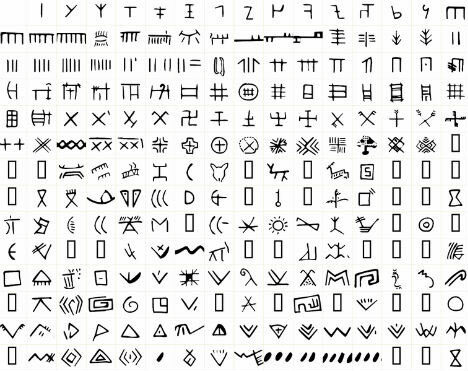 The fact that mainstream archeologists suggest these symbols are not a writing system but mere decorations comes from the same inability to explain other findings across the globe. It seems that every time, something that challenges mainstream views on history and development of the human race is found, mainstream scholars close their eyes and decide to ignore it. However, there are scholars who also suggest that the Danube Valley Civilization actually copied the symbols and writing system of Ancient Mesopotamia, claims that are absurd when you realize that some clay tablets from the Danube Valley Civilization are older than many clay tablets from ancient Mesopotamia. If anything, this incredible ancient civilization surely deserves a more appropriate study and scientific approach, one which could teach us a thing or two about ancient civilizations on Earth. Haarmann’s proposal deserves a better look at what could prove to be one of the most important and controversial ancient civilizations on Earth.